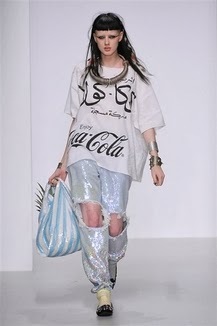 Si, avete capito bene, la sporta o sacchetto della spesa diventa un accessorio cult! 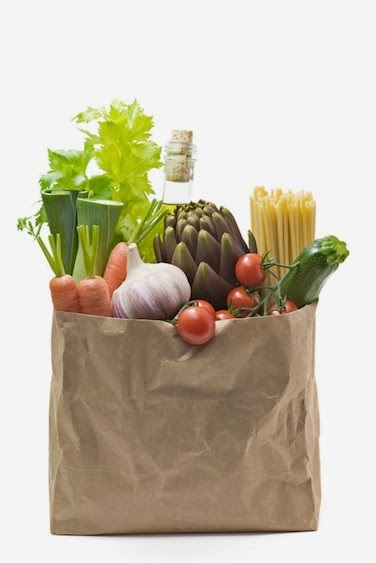 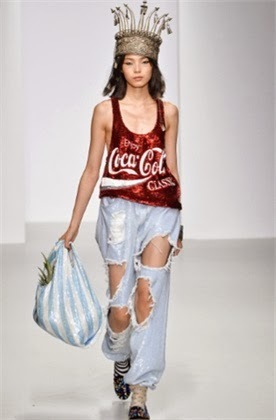 Yes, you got it right, the grocery bag or shopping bag has become a cult accessory! 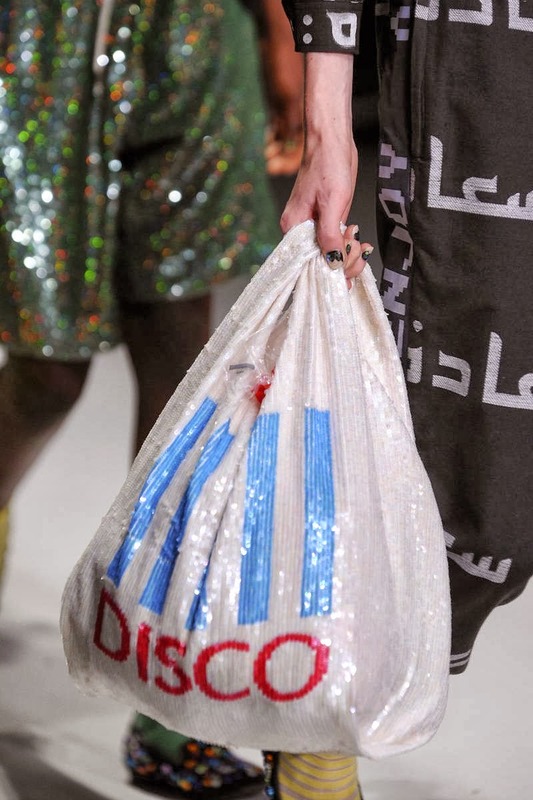 Dalla sfilata di Ashish p/e 2014 le borse per la spesa diventano divertenti shopping glitter! 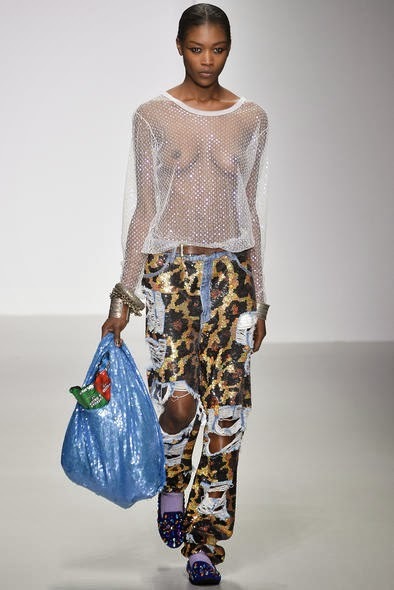 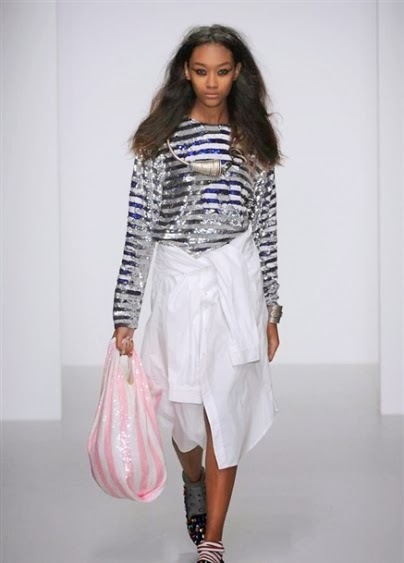 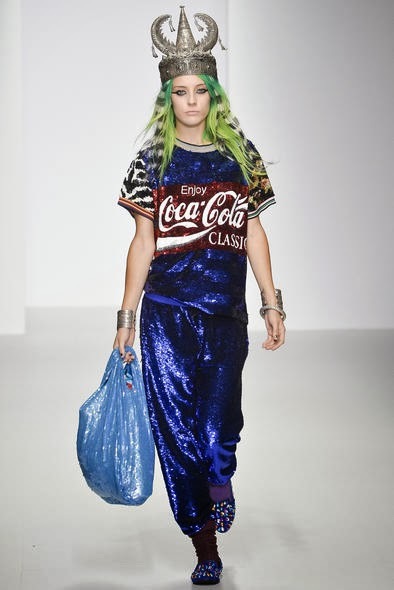 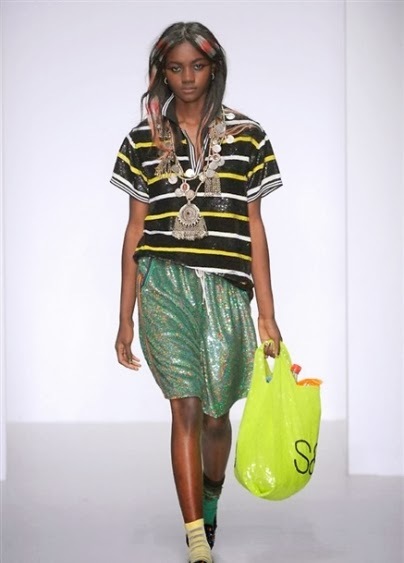 From the Ashish S/S 2014 fashion show, the shopping bag has become a fun glitter bag!